To think that I retweeted the above tweet by Dalai Lama just yesterday only to come across ‘yahoo boys’ as the trending topic on the Nigeria #TwitterVille same evening had me smiling and thinking aloud that “inner peace does come from within”. Apparently, the attention seeking Noble Igwe who unbeknownst to me has me blocked on twitter (probably for my irritating wits) had caused quite a stir by giving the EFCC some #Accolade for arresting fraudsters in a nightclub raid recently. 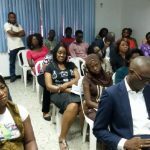 In a series of tweets, he suggested that the financial crime watchdog should “have a waiter stationed at every club within Lekki & VI” and also claimed that “Online stores and stores on Admiralty/Fola Osibo are used for money laundering”. Nigeria is globally known for fraud, and if you disagree then “you can argue with your keyboard” like we often say. It is a fact that Nigerians are always in the news for this reason, be it in Europe, America, South Africa, or Malaysia, Nigerians have a large stake in the fraud industry there. Recently I was watching the TV series Fargo and out of the blues, a reference was made to Nigerian fraud culture there. “And this one time I met this chic, she was smoking hot, then she turned out to be a Nigerian man who wanted money” the guy had said in a conversation. I laughed because its an all too familiar scene. It is not a laughing matter though, the embarrassment it causes to hard working, law abiding Nigerians abroad can often be painful. Sadly, that is only a fraction of the problem. The larger and depressing part of it is that the fraud culture has long become an acceptable norm in a country blessed with enormous population and resources yet wriggling in poverty. Again, anyone who argues this is likely a foreigner. A large chunk of the guys screaming blue murder on social media about the economy today are fraudsters whose criminal source of income has been adversely affected by government policies. In a conversation, I read recently one shamelessly wrote that since the present administration “champagne had stopped flowing like it used to flow”. What can you do but shake your head? Didn’t a certain international media house do a piece about our champagne culture even in the midst of a recession? Perhaps that is why Moet & Chandon’s global brand ambassador recently declared Nigeria as its biggest market. While the French pop champagne during celebrations the average Nigerian ‘Yahoo boy’ has a bottle for the next visitor and pops in buckets every other club night. There are two debilitating things about the fraud business that irritate me the most. 1. It almost if not completely erodes your creativity. God blessed each person with at least one talent or the other but it depends on you to discover this talent and utilize it positively. If you can do this then you are surely going to be successful in the real sense of it by achieving set targets and creating wealth for yourself and the larger community. Fraud will rarely allow you do this. Look around you, most fraudsters you see only know how to do one thing and that is fraud! 2. It only gives momentary fulfillment, for instance when a ‘mugu’ falls and your eyes are popping out from the frenetic conversion of the forex into millions of naira or when you are having fun popping champagne in the club like the ones arrested by the EFCC. That’s just about it. You will never know lasting peace of mind, you practically keep looking over your shoulder for the rest of your life. There are numerous examples including Fred Ajudua and our own MVP of fraud Chief Emma Nwude who is still in court for forgery several years after serving his jail term. If you go through some of the discourse around what the Noble Igwe said you will know how badly the fraud culture had damaged the psyche of many Nigerians. 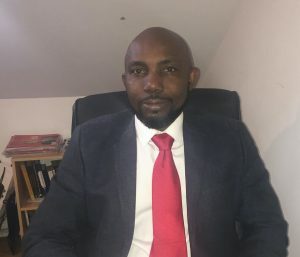 He has been called all sorts of names with some even questioning his right to state his opinion, while some have drawn the usual parallel on why the EFCC should be arresting corrupt politicians instead as if fighting 419 is not part of the commission’s responsibility. It is mind boggling some of the comments out there but as a Nigerian am I surprised? of course not. I remember that in the past Falz also made a similar statement albeit jocularly when he advised fellow artistes to stop praising fraudsters and was promptly rebuked by 9ice who told him to go and report the fraudsters if he had evidence. 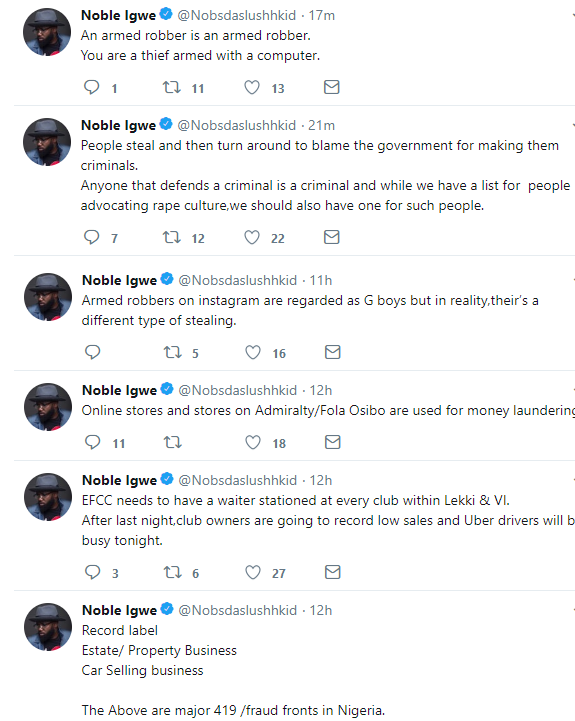 Now Noble Igwe has been labeled a snitch by some two-bit comedian who seized the moment to record a video for cheap publicity. Will I be surprised if M.I Abaga calls out Noble tomorrow? Of course not, the short rapper whose career has gone south was reported to have praised internet fraudsters for funding artistes last year. That is the sad situation we find ourselves in, artises who are supposed to be role models for the younger ones see little wrong in publicly applauding crime. You may now begin to understand why some of us criticised the blitz of effusive adulation that heralded Davido’s #AssurancePorsche gift to his girlfriend. It’s not as if we were questioning his right to celebrate his girlfriend or spend his money, far from it, rather we questioned the impact that publicity will have on the larger society especially in Lagos where make-believe has ruined many. Some have blamed it on lack of jobs, well, a valid point you may be quick to conclude but remember that if everyone who had no job had taken to crime then many gainfully employed persons today will be criminals because at one time or the other they were also roaming the streets in search of jobs. They did not take to crime rather they rolled up their sleeves and dug in, with determination and perseverance your reward is almost guaranteed. So while we urge the government to do more in the area of job creation we cannot excuse crime with unemployment. It is really appalling how low our moral has dipped as a people. 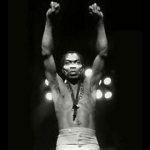 If we still have artistes with some conscience and dignity, one would expect them to defend Mr. Igwe. They should even go further to partner with the EFCC to campaign against fraud. In saner climes artistes are used in the promotion of worthwhile government policies, ours should not be different. And if you have a problem with those who criticise fraud then my dear friend it is time to ask you the critical question; what do you do for a living?